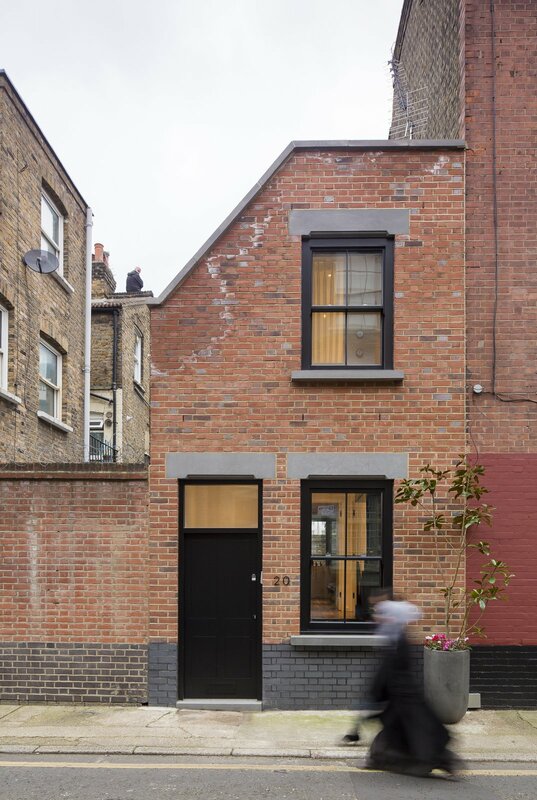 Set in a conservation area, the home’s façade was designed to blend into the street’s terrace style. To that end, it is clad in red bricks from Traditional Brick & Stone and punctuated with sash windows. The concrete toned lintels hint subtly at the modernity that lies within.